Eco Inn Mae Sot offers modern air conditioned rooms with free WiFi. The property features a 24-hour front desk, meeting facilities and rental bicycles. Free parking is possible on site. Rooms come with a flat-screen cable TV, safety deposit box and refrigerator. Bathrooms are equipped with shower facilities. Guests can enjoy local dishes at the on-site restaurant. 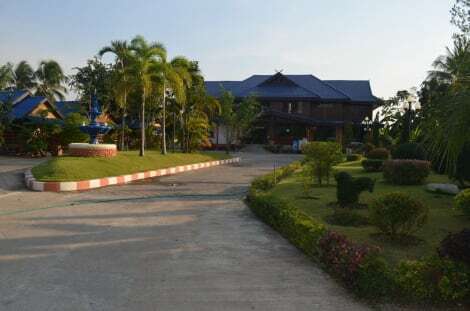 Located in Mae Sot, Centra by Centara Hotel Mae Sot is in the mountains, within a 15-minute drive of Phra Naresuan Shrine and Kamphaeng Phet Rajabhat University. This 4-star hotel is 24.1 mi (38.8 km) from Taksin Maharat National Park and 4.5 mi (7.2 km) from Wat Thai Wattanaram Temple. lastminute.com has a fantastic range of hotels in Mae Sot, with everything from cheap hotels to luxurious five star accommodation available. We like to live up to our last minute name so remember you can book any one of our excellent Mae Sot hotels up until midnight and stay the same night.